The City of Napa announces a call for artists for the Napa Art Walk, a curated walking tour program that showcases regularly rotating installation art throughout downtown Napa, California. Collections rotate every two years. The 2019-21 exhibition will be the sixth rotation in this program. All pieces submitted for the sixth Napa Art Walk should integrate and embody a specific sense of place. The aim of this exhibition is for the public to identify their own symbolic and literal relationship to the environment(s) in which they live, and inspire a recognition or creation of experience tied to the place in which the artwork resides. Stimulate the downtown economy through increased pedestrian activity and positioning Napa as an art destination. Ten pieces will be selected by a jury and placed among twenty potential sites in Napa. Each selected artist will receive an Artist Honorarium of $2,000 to assist with transportation, travel and other expenses; $1000 will be paid upon artwork installation in 2019, and $1000 will be paid upon artwork de-installation in 2021, at the end of the exhibition. To enhance the usability and visibility of Napa Art Walk, the City partnered last year with Otocast, a mobile app program which provides information about each of these pieces and the artists, (Voices of Napa Art Walk Artists). The Otocast app may be downloaded on any smart phone to find “Napa, CA Napa Art Walk” and hear about the art and surrounding points of interest in the current exhibit. Images of the artworks, a printable brochure and map, and links to the audio tours from current and past exhibitions may be found at Napa Art Walk. There is an opportunity to have one-on-one conversations with the artists during their time in Napa – akin to the popular “Inside the Actors Studio” format. These will be voluntary and at the convenience of the artist. In coordination with Arts Council Napa Valley, the City of Napa will organize small group gatherings for interested parties to meet the artists, ask questions, and hear about their work and interests. These events will be held in the homes and/or offices of local artists and art supporters. They will be organized as installation schedules are finalized. Artworks will remain on view for a period of approximately two years (July 2019 – August 2021), during which community members and visitors may vote online to select one artwork for the “People’s Choice Award”. This award is announced in spring prior to close of the exhibit. The winner of the People’s Choice Award will receive a Proclamation from the Napa City Council and gifts from local merchants and hospitality partners. Past prizes have included overnight getaways, dinner for two at an acclaimed restaurant in Napa, spa treatments, and gift certificates. The City of Napa is in the heart of Napa Valley, a world-class winegrowing region and travel destination. Located along the banks of the Napa River, Downtown Napa is emerging from its origins as a civic district to a vibrant hub of beautiful hotels, charming inns, exceptional culinary establishments and wine-tasting rooms, all enhanced by the arts, parks and entertainment. The first City of Napa Public Art Master Plan was approved in June 2014. The first Public Art Steering Committee art project, “First Street Art Benches” was completed in 2015, with nine custom-designed benches created by Berkeley, CA artist Eric Powell. The City is presently nearing final design for the renovation of Dwight Murray Plaza. It is one of the most visible and popular plazas located on First Street. Public art is expected to be a major component of the plaza; professional artists are now preparing their submittals for final selection. 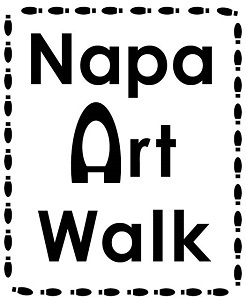 For more information, contact napaartwalk@cityofnapa.org.